Linking projects and users is the final step in setting up an integration with a third party service. 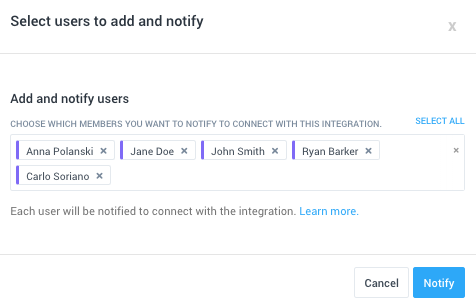 When doing so, you’ll see an Overview section where you can link integration projects and users to your Hubstaff projects and users. 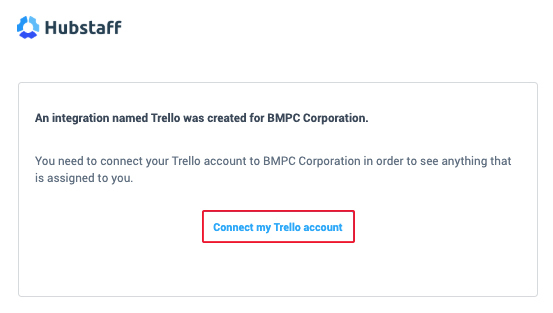 Likewise, you can manage these connections from the Projects and Users sections of the integration. 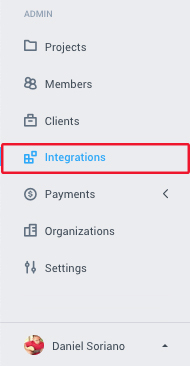 Click on Integrations on the left menu so you can select your integration. Click on the Link projects button under the Overview tab or Projects on the left hand side of the Overview tab. Select the integration project that you’d like to link in the left dropdown field. In the right-side field, you can select the specific Hubstaff project you’d like to link to that integration project, or leave it blank to have a new project created matching the integration project. Click on the Add users button from the integration’s Overview tab or Users on the left hand side of the Overview tab. In the Link Users dialog, you can click on the user field to select specific team members, or click the Select All option add all members to the field. Click the Notify button, and an email with a confirmation link will be sent to all selected users, informing them to connect their account. 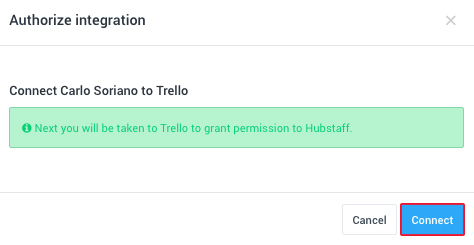 Upon clicking the link, you will be taken to your Hubstaff web dashboard to authorize the connection to your organization’s integration. Click Connect to confirm, then you will receive a popup saying that you’ve successfully created the user connection. Once you have linked the projects and the users in your account, you can expect the integration to sync in the next 5-10 minutes or so. The integration will continue to sync automatically on its own after that point. Currently, when you add a new project in the project management third-party provider, you need to access the integrations page in Hubstaff ⟶ refresh the projects list ⟶ link the new project ⟶ assign team members to the Hubstaff project that’s linked to the newly added project. 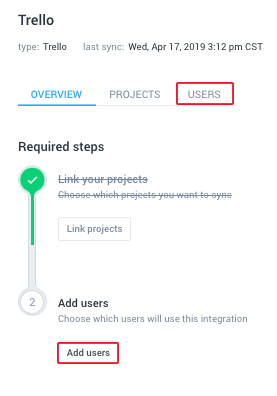 You can auto-add users to every project that you link/create automatically. Click here to learn how to enable this option in your organization settings. Note: Un-linking and re-linking a project “disassociates” the tasks from the integration. So if you unlink and relink a project you will end up with two copies of all those tasks. Furthermore, any issue that is occurring with the integration will not be fixed by relinking the projects and doing so will stop our developers from debugging the issue successfully. 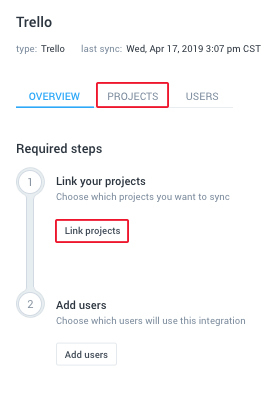 To unlink projects or users, simply click on the projects or the users tab. Then, click the checkbox next to the projects or users you’d like to unlink, and the Unlink button will appear right above.